Tips for vendors – Remember, First Impressions Last! How to make the sale process run smoothly? We understand how valuable an investment your property is and at Delaney Estates we are committed to protecting your investment and maximising its market potential. Our dedicated team have a wealth of knowledge and experience in maintaining landlord and tenant relationships. 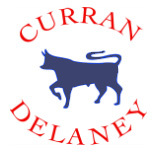 Whether you want to be fully involved, partially involved or have no involvement at all, Delaney Estates can tailor a service to suit your needs. We have a team of qualified professional tradesmen to ensure your property is maintained to a high standard. We carry our regular management visits to the property and report back to you accordingly. Rent reviews are carried out when appropriate to ensure your always achieve market rent. We collect & monitor the payment of rents. We provide an income & expenditure report which will make your tax returns simple and easy. For non-resident landlords we can act as collection agents and recommend a qualified accountant to complete the tax return on your behalf. Tips for Landlords – Remember, First Impressions Last! Create a sense of space and comfort by de cluttering your property. Ensure it is presented clean, neat & tidy. Ensure the gardens are maintained. Appropriate lighting can help create a homely ambiance. Remove any damaged or surplus items. There is no need to provide bed linen however we would recommend that mattress protectors are in place.